Good morning! When I had my first serious look through the Occasions catalogue one of the stamp sets that really jumped out at me was the B.Y.O.P. set. 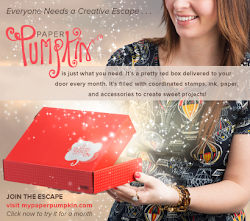 Such a fabulous set for gift card givers. I love it so much that I'm considering planning a class around this set where we create a variety of gift card holders. Watch for the that in the coming months. 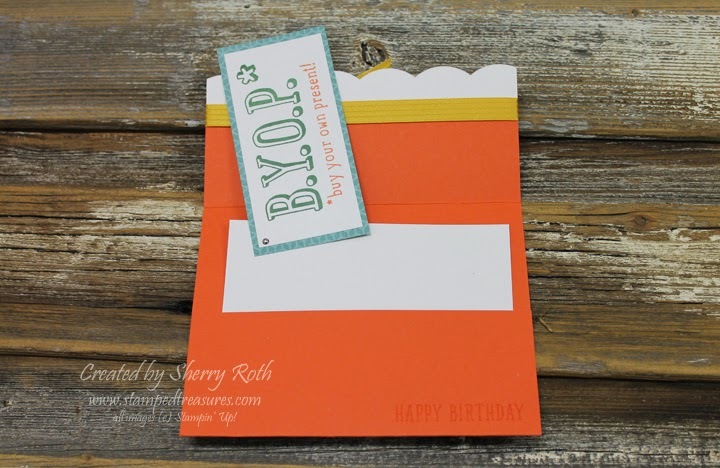 Last month at our team meeting I gave everyone in attendance a piece of Flowerpot dsp, tangerine tango and white cardstock and challenged them to create something with it and bring it back to share this month at our meeting. 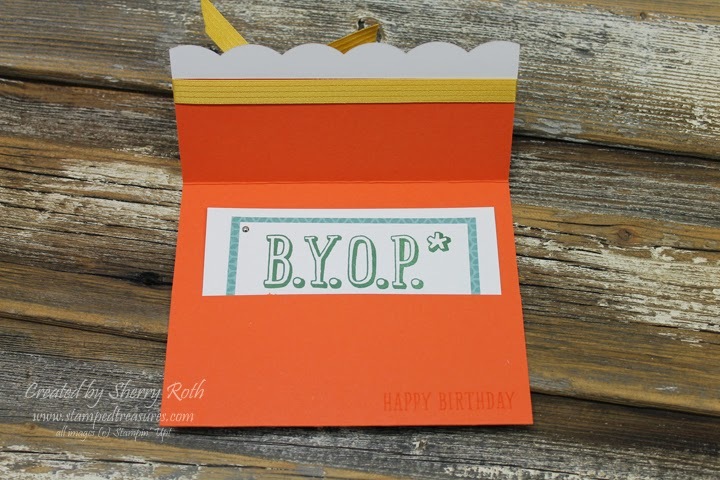 I can't challenge them and then not participate myself so this is what I came up with - using the B.Y.O.P stamp set. When you open it up it has this message in a pocket. The message flips up to reveal the 'imaginary' gift card. 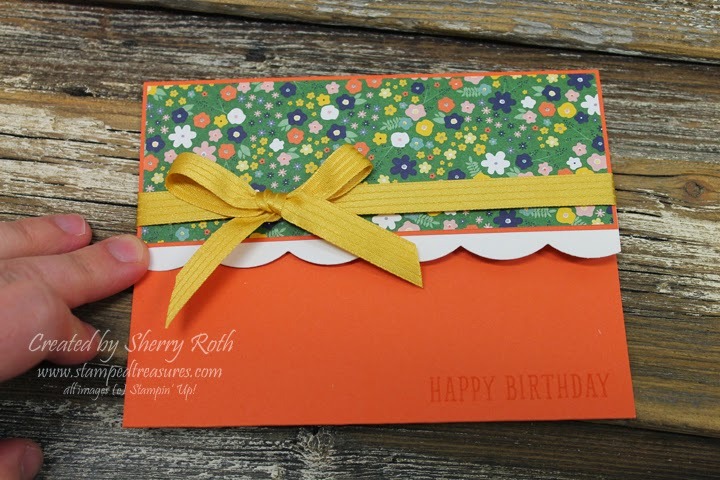 We had lots of other great cards using the same supplies which I will share with you over the next couple days.